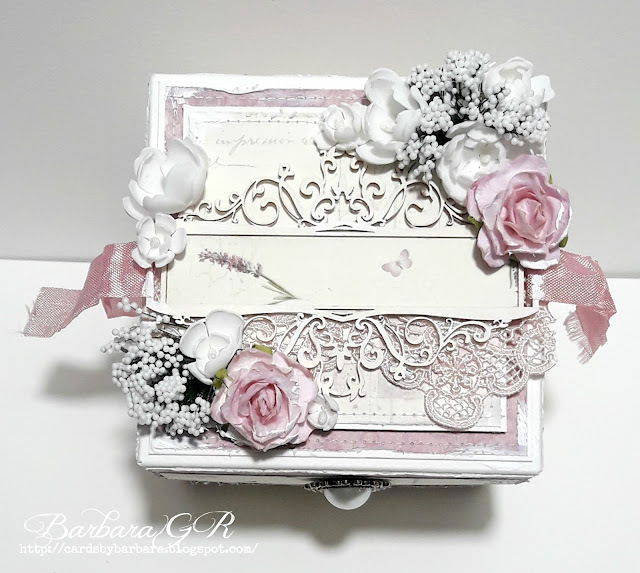 It's me Barbara with you today! 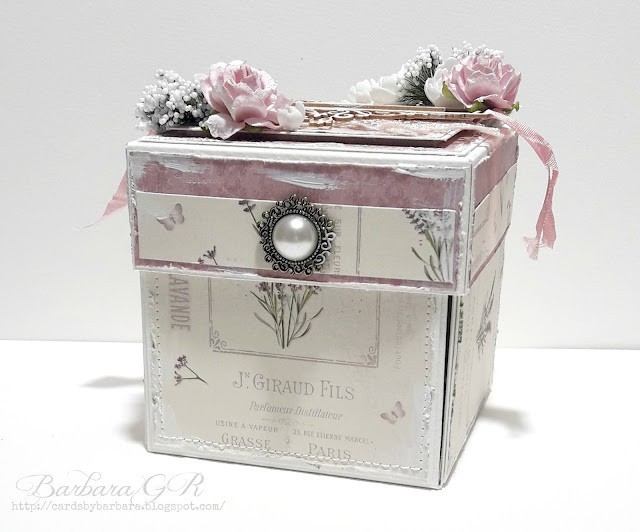 I'm sharing an exploding box made with Pion Design Scent of Lavender paper pads. On the top of my box I added Scrapiniec chipboard. I made few foamiran flowers. I also added Meadow Spray White flowers and two WOC roses. 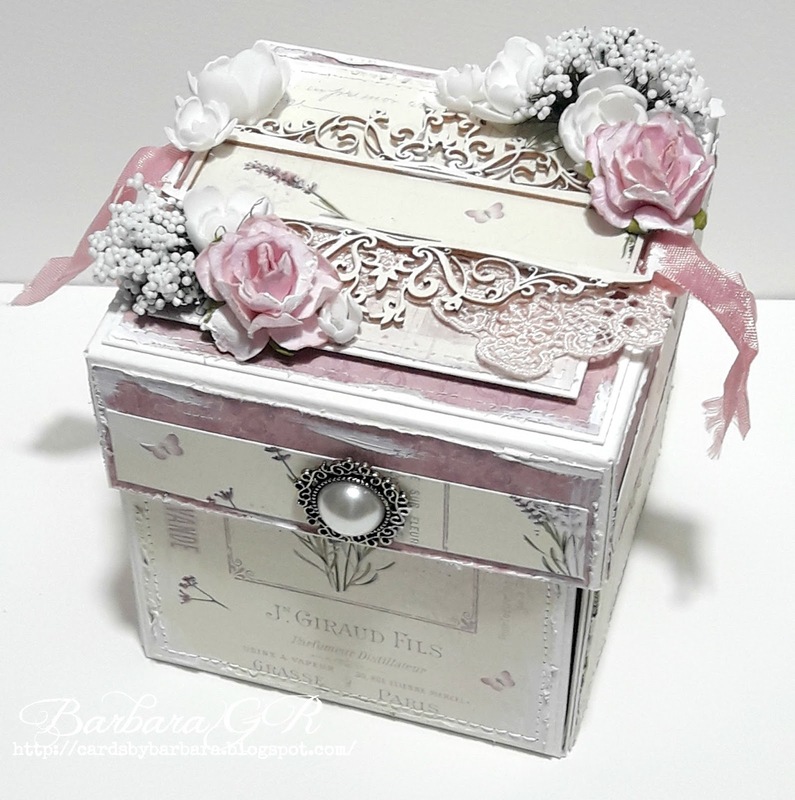 Barbara fantastic box design and so lovely papers and flowers. All the other deco is looking fabulous too, and the color combination is great.